A lot of people make the mistake of not re-keying the locks when they move into a new home. 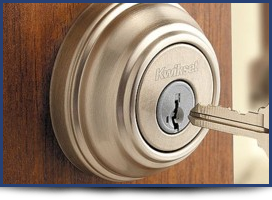 A small investment in locksmith service from Mr. Keyman is a small price to pay to protect the things that fill your home. a few minutes to change several locks. Re-keying a lock should not be confused with replacing a lock. 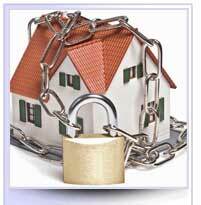 You do not need to replace the locks in your home or business to lock out the previous key. the lock cylinder (the area that accepts the key) and discards all the old pins. New pins are installed that match the new key and at that time the lock cylinder is inspected, tested and lubricated to assure that the key will turn smoothly. After completing this procedure the lock is then reinstalled back on your door guaranteeing that the old key will no longer work. and that the finder knows your name and where you live or work. When a theft occurs, law enforcement officers usually look for visible signs of entry. When a thief pries a door, they leave identifying marks on the door or door frame. However, when a key violation occurs, through a lost or stolen key, there are no signs of forcible entry. A re-key is a small price to pay for the long term safety it provides. 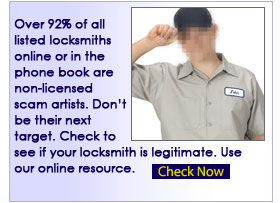 Getting your locks Master Keyed is preferred in most offices. It allows for a single key to control several locks while at the same time each lock has its own separate key. 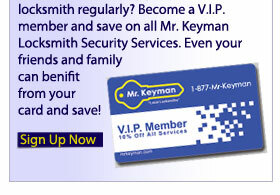 Its a simple procedure , and Mr. Keyman can include the service in your initial service call.